From First Landing we drove on to Lautoka, the second largest city in Fiji. It is busy and bustling with people going on about their business. We walked down the market – loads of food and sweets smiling back at us invitingly. 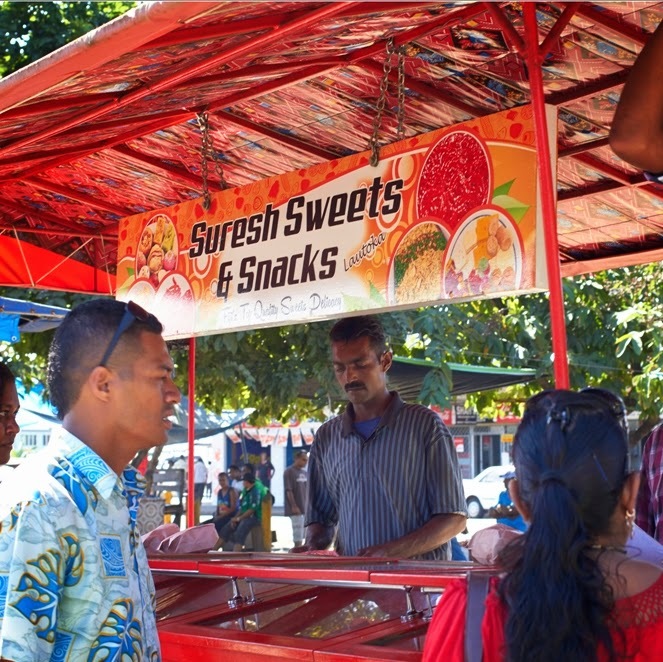 I don’t think this is much of a tourist place but locals seemed to be friendly – which is a very nice thing about Fiji. We also visited one of the biggest supermarkets while we were there to buy some bottled water. Kata pointed to the chocolate fridge with padlock on it – chocolate is quite expensive here a bar of the purple kind (nothing special) cost FJD8! So we made note to ourselves that we should give Kata’s kids a bag of Whitaker’s we brought with us from home but did not manage to eat. They would be delighted. 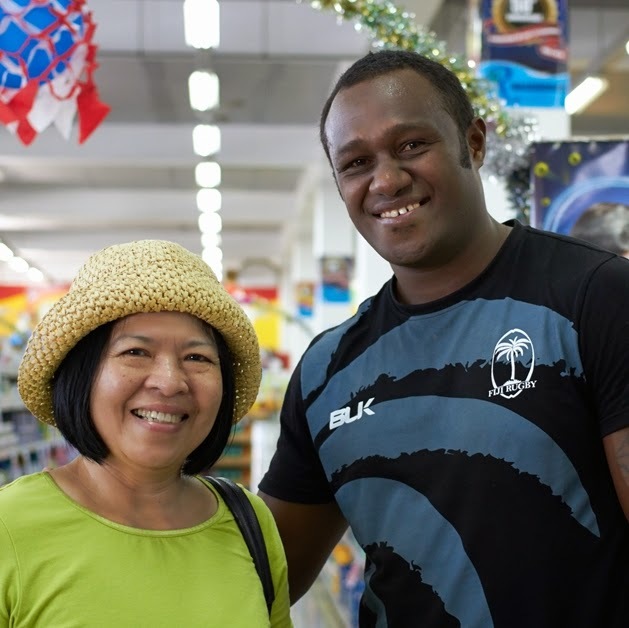 While we were snooping around, Kata called out and told us that a big guy walking in front of us was someone having something to do with Fiji Rugby Seven. As ignorant as I was I asked Kata if I could have a picture taken with this guy. Very polite and smiley, he obliged. We learned later that he’s one of rugby seven stars, Pio Tuwai. I am not short at 164 cms but this guy makes me look so petite. What's amazing is that he's so smiley, but his wife died only a week or two before from breast cancer. I guess that if you’re a public figure, especially in manly sports like rugby, you would have to be like that – put on a smile for fans & public.